« October Adventure: Thanks Portland! OCTOBER 9, 2011. Two more quick peaks at Portland. Next time: overnight train to San Francisco. 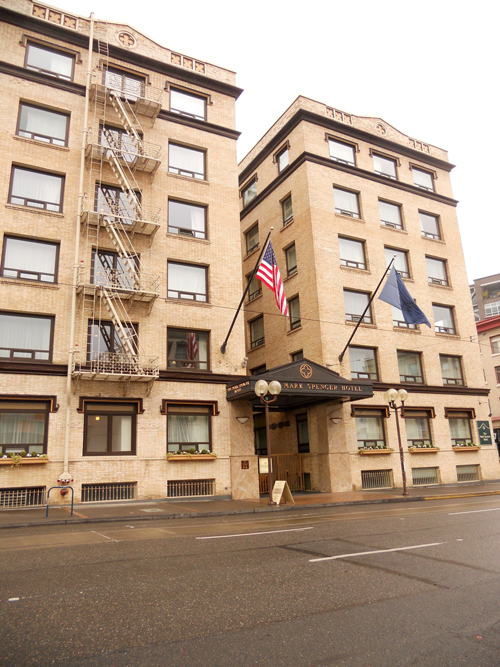 The Mark Spencer Hotel on the edge of the Pearl District, Portland Oregon.